It’s an intriguing question. Yet in the ten years that have passed, the classical world have unfurled new works that specifically deal with the tragedy, focusing upon the lament and sorrow we still feel today. In honor of this sad anniversary, we look to 5 Classical works that have attempted to provide insight into the deep wounds of 9/11. THE CRITICAL RESPONSE: “As he did with “Different Trains,’’ Reich generates the musical material directly from the sampled voices, and it’s the rigor and directness of the voice-music connection – and the apparent lack of artifice – that makes for the work’s stark power,” commends Boston Globe music critic Jeremy Eichler. THE APPROACH: Adams’ Pulitzer Prize-winning work achieves a soaring incantatory effect, hypnotically recalling a litany of 9/11 victims’ names that gentle rise and fall amidst an increasingly cluttered soundscape. Commissioned by the New York Philharmonic, it was the first major response from the concert music sphere to the terrorist attacks. THE APPROACH: “It’s based on four poems about war,” explains the New York-based Corigliano to NPR. “Not specifically about 9/11, but about the tragedy of war.” The poems — ranging from The Illiad to am E.Y. Harburg work of the same name — come together for an anti-war piece that was first performed with the Young People’s Chorus of New York City. THE CRITICAL RESPONSE: “He’s written this marvelous piece … that reflects on many things, but in particular, finding hope in the midst of tragedy,” comments New York Philharmonic musical director Alan Gilbert. THE APPROACH: “Missing Towers” came out of Del Tredici’s broader Gotham Glory suite, which was his own “idiosyncratic” take on living in New York for more than 40 years. 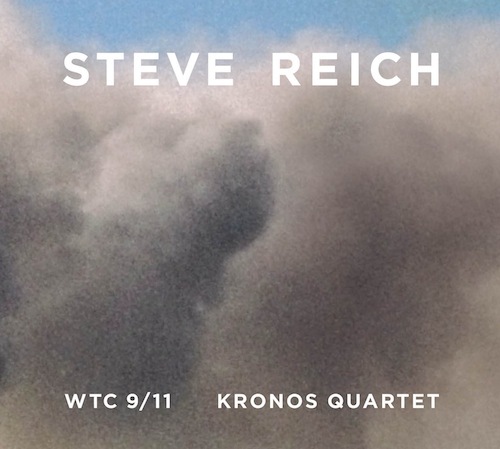 “Missing Towers” is mysterious in his attempt to re-create the ghostly space where the Twin Towers use to exist, and will be performed at the much-anticipated Music After concert at New York City’s Joyce SoHo this Sunday. “It’s all very soft, but at the very end to emphasize even more that they were gone, I go inside the piano. I leave the keys and go inside the piano for a weaker more ephemeral, vanishing sound,” he explains in the above video. THE CRITICAL RESPONSE: “The composer continues his recent preoccupation with exploring the aesthetic and sound of Romantic piano music, especially that of Schumann and Liszt,” writes New York TImes‘ Anthony Tommasini. THE APPROACH: In 2002, the New Yorker told the utterly tragic yet brave story of Rick Rescorla security chief for Morgan Stanley who anticipated both attacks on the towers and implemented evacuation procedures that are credited with saving many lives. American composer Theofanidis — the Seattle Times calls him “one of the world’s most sought-after living composers” — turned this brave story into an opera for the much-in-demand baritone singer Thomas Hampson as Rescorla, which will premiere on September 10th at the San Francisco Opera.